The government has set aside 60 million kroner for partnerships that help promote women’s access to contraception in areas embroiled in turmoil. 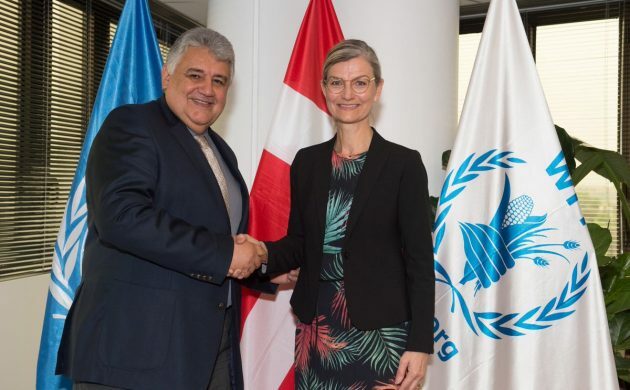 The funds have been allocated in connection with the UN food program WFP, which works to help women and girls with access to contraception during humanitarian crises. “Usually, it is the women who are dispatched to collect the food WFP distributes, and when they receive the food products it’s sensible to provide them with information about sexual health,” said the development minister, Ulla Tørnæs. Reports have documented that there is a demand for contraception among women in humanitarian crises zones, but the issue is often underprioritised or completely inaccessible. “The needs and rights of women and girls are far too often neglected during wars and crises, even though they are more vulnerable than men. So I’m pleased that we Danes can contribute with support to new methods that particularly promote women’s health,” said Tørnæs. The development minister, Ulla Tørnæs, is in Sicily this week visiting the Mineo centre, one of the biggest recipients of refugees and migrants crossing the central Mediterranean Sea. Tørnæs will discuss preventative measures with representatives of the UNHCR, as well as speaking with migrants to gain insight into some of the reasons why they embark upon the perilous journey across from Africa. For the first time in several years, Denmark is preparing to launch a significant culture push in the US, this time in Seattle, Washington. The Culture, Foreign and Business Ministries have teamed up for the occasion. The foreign minister, Anders Samuelsen, and Crown Princess Mary will be among the dignitaries present at the official opening of the Nordic Museum in Seattle today. Other partners involved in the three-year culture push – which encompasses design, film, music and architecture – includes Roskilde Festival and Spot Festival. In future, Denmark will focus on similar culture efforts in Chicago, Detroit, Houston, Austin and Los Angeles. With the EU closing in on pushing aside the final hindrances to a trade agreement with four South American countries, Danish companies are looking at gaining a better foothold in Argentina. Yesterday, a group of Danish firms, including Coloplast, met with Argentina’s vice president Gabriela Michetti at the offices of the national confederation for industry, Dansk Industri (DI), to discuss future possibilities. Since 2000, the EU has been working towards a trade deal with the so-called Mercosur countries: Argentina, Brazil, Paraguay and Uruguay.